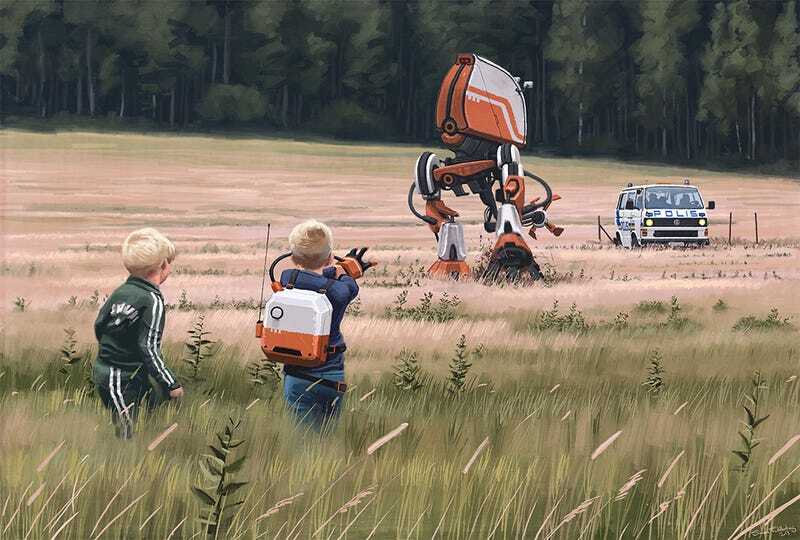 Two boys are playing with their robot in a sunny meadow when the police appear on the scene. Are they here to ruin their robotic fun? What happens when the police face off against this remote-controlled machine? Simon Stålenhag created this illustration, via Geek Art Gallery. His site is filled with tons of gorgeous futuristic scenes; most feature robots, although a few dinosaurs have slipped in there as well. See what kind of story you can come up with based on this image and share it in the comments.